Christopher Caplinger, then a 20 year veteran police officer that had worked exclusively with the Edmund Police, seems to have taken the “Serve” part of the “Protect and Serve” oath as a police officer a little bit differently than the rest of his fellow law enforcement officer. Once considered one of the most influential veteran officers of this US police force, it turns out that Caplinger was working behind his badge and running any legal and illicit criminal empire that is only just now beginning to be fully understood. 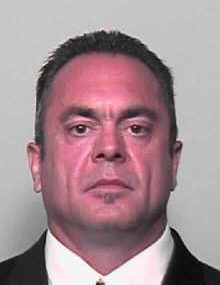 This police officer has already been convicted of a number of different charges and discharged from the police force in disgrace, including convictions of felony bribery, but just recently he has chosen to plead guilty to the charge of manufacturing anabolic steroids and a conspiracy for laundering money – charges that carry significant penalties that include quite a bit of jail time. Originally indicted on these charges, alongside three other co-conspirators, in March 2018 it wasn’t done until November 2018 that the US District Judge in charge of this case agreed to a plea arrangement that had been put together by the defense and the prosecution. As part of the plea arrangement, Caplinger has agreed to completely accept responsibility for operating the drug trafficking organization and anabolic steroid factory that produced controlled substances, acting as the de facto boss of the operation from between February 11 of 2014 right up until federal agents kicked in the doors and shut things down on November 29 of 2017. In a sworn statement, Caplinger admits that he was responsible for managing the overwhelming majority of day to day operations of this criminal underground enterprise. His co-conspirators mostly worked for Caplinger, either as mules, salespeople, or “runners” that would help out wherever and whenever he needed them to. Caplinger also admitted to establishing the operation in a commercial suite that had been using a business address of an auto sales operation, a business that had been set up to do nothing other than launder money obtained through this illegal operation. That business was called Boss Auto Sales, LLC – but no vehicles were ever sold. Another number of unnamed co-conspirators (of which there are at least four) that had yet to be indicted were also named in this document. Caplinger stated that they were responsible for ordering and receiving raw steroid powder shipments directly from China, that they were responsible for maintaining numerous PayPal accounts that handled the funds brought into this illegal operation, and that they were to open a number of different post office boxes – using fake names – to take advantage of “Cash in Mail” orders from customers around the nation. Part of the plea agreement required Caplinger to surrender more than $287,000 in cash that he had accumulated through the operation of this business. The cash had been buried on his property before police executed search warrants throughout his home and the commercial suite where the laboratory was in place. On top of that, Caplinger also agreed to forfeit $740,000 on top of the cash that was found buried in the backyard – more money he had brought in as part of the illicit operation. As of right now, none of the co-conspirators responsible for this underground steroid operation have been sentenced. All of them are staring down multiple years in prison and significant financial penalties, but a final decision on sentencing isn’t expected to be handed down by the US federal judge in charge for about the next 90 days. Caplinger, a 20 year veteran of a police force, is likely going to spend at least a bit of time behind bars – right alongside some tough customers he put there himself.